If there was any doubt as to the This American Life favourite's popularity in the UK, it was swiftly put down by the snaking queue from the EICC's front entrance to its back and right outside again. A mixed audience age-wise – half hipstery twentysomethings, half 50+ in stiff collared shirts (Sedaris included) – the humourist managed to elicit laughs from both camps with his casual lewd language and his tales of old age (dribbling wee, saggy breasts) alike. 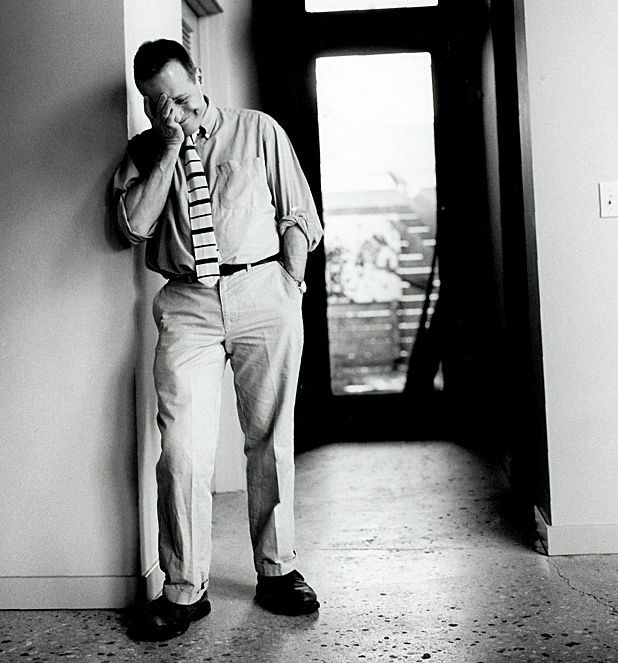 Not exactly family-friendly, Sedaris is charming and amiable and an incredibly odd little man – a description he'd take as a compliment, no doubt. Though his three trademark real-life anecdotal stories, written very recently (with the newest published but two weeks ago in The New Yorker), were solid from back to front, some of the best bits came when the author shared highlights from his personal diary. Fan encounters, things he found fascinating online and, of course, family-related snippets made it clear just how 'on' Sedaris is all the time. That proved to be the case with his performance, with his oral stumbles somehow coming off charming (and, naturally, seamlessly smoothed over) and the spates of unrehearsed ad-libbing making the sound of that oft-recorded voice as intimate and personal as his overshare stories. Writer, humorist and wit, brimming with sardonic social observations.